Kirit reads law at the University of Leeds, U.K and was called to the Bar from Gray’s Inn. 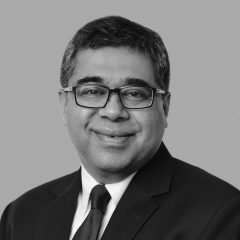 He is the founding Partner of Jafa & Javali, Advocates, New Delhi which is rated by the Asia Pacific Legal 500 as a recognised and competent law firm. He has acted and advised Indian companies in international and domestic arbitration proceedings. He regularly appears in the Supreme Court of India, Delhi High Court and tribunals. He has also spoken at various international forums as a speaker/panellist in the field of arbitration and authored articles in Indian and overseas publications more recently on “Enforcement of Foreign Judgments in India” amongst others.